September 6, 2017 – Colorado astronaut Jack Fischer returned to Earth after spending months aboard the International Space Station (ISS). Fischer, NASA’s Peggy Whitson, and Commander Fyodor Yurchikhin of Roscosmos, landed back on Earth at 7:22 p.m. MDT September 2 in Kazakhstan. Fischer and Whitson received a special welcome home from President Donald Trump, who phoned the astronauts as they were flying home to Houston Sunday evening. 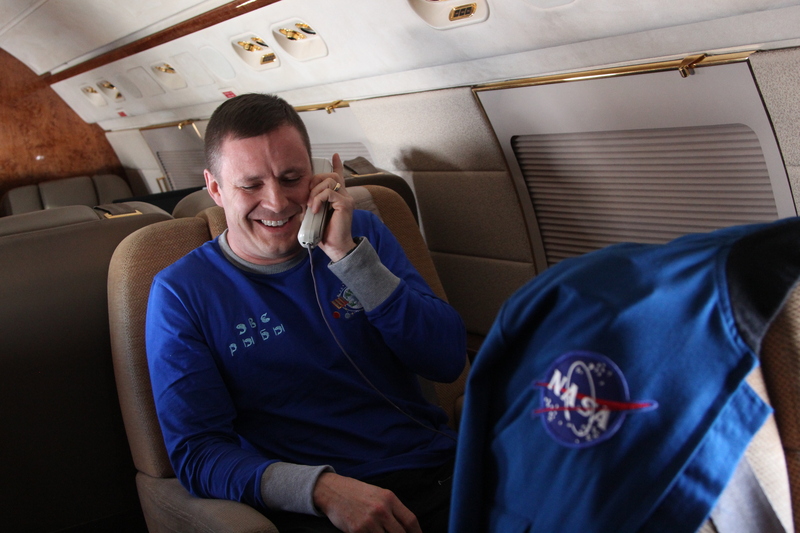 During the phone call, President Trump congratulated Fischer on his accomplishments on his first spaceflight, and Whitson for her record breaking mission. This was Colorado native Jack Fischer’s first mission in space. 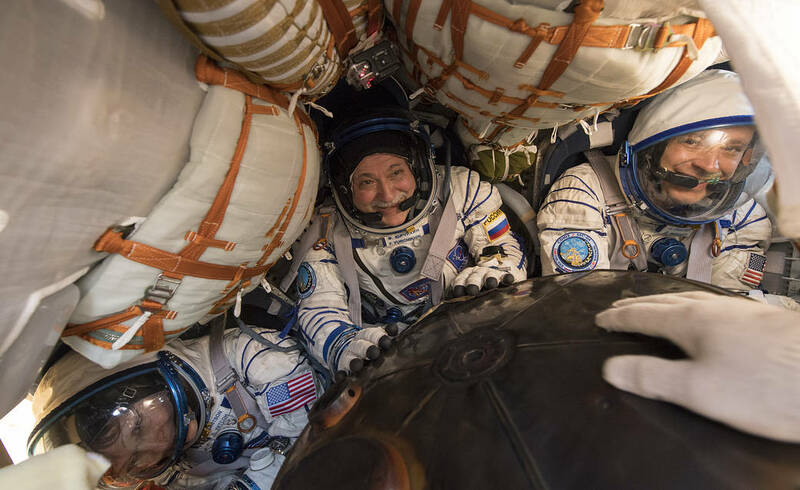 He launched to the ISS on April 20 and spent 136 days in orbit, during which he took part in two spacewalks that total just under seven hours. While he was in space, Fischer became popular for his childish delight of food, imaginative descriptions of Earth’s features, and expressions like “awesome sauce” to describe his experiences aboard the International Space Station. Significantly, he contributed to hundreds of experiments in biology, biotechnology, physical science and Earth science, welcomed several cargo spacecraft delivering tons of supplies and research experiments, and debuted the “Unity” spacesuit painted by pediatric cancer patients. Whitson launched from the Baikonur Cosmodrome in Kazakhstan on November 17 and spent more than nine months in space. She now holds the U.S. record for cumulative time in space, with 665 days in orbit during three long-duration missions. She originally was scheduled to return to Earth in June, but her mission was extended in March, thereby increasing the amount of valuable astronaut time available for hundreds of experiments she and her crewmates participated in. She also has spent the longest time in orbit during a single spaceflight – 288 days on this mission – than any other female astronaut. In addition, Whitson holds the records for most spacewalks and time spent spacewalking by a female astronaut — 10 spacewalks totaling 60 hours and 21 minutes. Whitson was the first woman to command the space station and, during this mission, she became the first woman to command the station twice – a position she held from April 9 through June 1.